A traditional three bedroom semi detached property located in the sought after cul de sac of Ludford Grove. 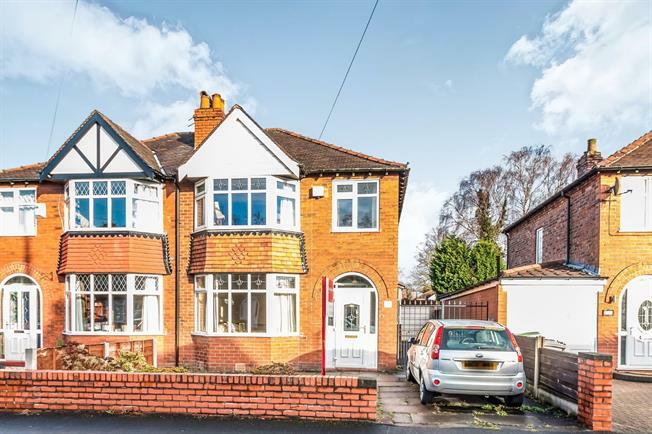 The property sits on a good sized plot and benefits from gardens both front and rear and off street parking. Briefly comprising; entrance hall, lounge, dining room, breakfast room, kitchen to the ground floor. Three bedrooms, bathroom and WC are on the first floor. Wooden front single glazed door, opening onto the garden. Radiator, carpeted flooring, ceiling light. Wooden side , opening onto the driveway. Double glazed uPVC window facing the rear overlooking the garden. Vinyl flooring, boiler, ceiling light. Built-in and wall and base units, stainless steel sink, one and a half bowl sink and with mixer tap with drainer, space for, gas oven. Double glazed uPVC window with frosted glass facing the rear. Radiator, carpeted flooring, ceiling light. Corner shower, pedestal sink.